Sign the petition against intimidation at abortion clinics! It’s amazing that we raised so much money for the Abortion Network Amsterdam, but there is still a lot of work to do to help people get access to safe abortions. We got contacted by other activists that many people who have to go to an abortion clinic are being harassed and intimitaded by anti-abortion activists. This needs to stop! Humanistisch Verbond decided to create a petition against the harassment, which you can sign here! The petition will be handed over to all municipalities that have an abortionclinic. But we will not sit still and stay silent. We think that these anti-abortion activists are crossing boundaries in a violent and disgusting way. If you know that there is an abortion clinic close to the place you live, go there and scare the anti-abortion activists away! Doorbraak wrote an article (in Dutch) on the petition against intimidation by anti-abortion activists that is worth reading: Read it here. Het Patriarkraakt is a monthly talking group about toxic masculinity. We hope to create a space for self-reflection, to educate each other about feminism and sexism. To enable us to think in a healthy way about these issues, and to learn healthy behavior. A space to share questions, doubts, experiences and self-criticism. The third session takes places on March 13th, this time in The Hague. This session we’re combining parts of the first two sessions. We will discuss what the patriarchy is and how it has operated in our lives. Then we’ll be looking for way to make our activist spaces safer for women, trans people and queers. If this doesn’t apply to you, then you are still very much welcome. Especially if you think others can learn from you, or if you think you can learn from others. In this patriarchal society we are taught toxic masculinity. This means that we are not able to sustain relationships in a healthy way (friendly, romantic…) . We learn to emotionally cut ourselves off from ourselves and others. We learn that aggression and violence are the only means to solve conflicts. We learn that we don’t need to listen to women/non-men and that we can cross their personal boundaries. We learn to commit sexual violence and to see it as normal or innocent. Our activist spaces are not free from toxic masculinity. Here too we find sexism and sexual violence. Here too there is a dude-culture (brocialism/manarchism). We want to change this. We hope that this talking group will contribute to making activist spaces safer for women, non-men, trans people and queers. On the 9th of March is the Women’s* March on Amsterdam! Kattenkwaad will join the March and walk in the intersectional and anticapitalist block. If you also want to go, and would like to make a banner or a sign, you are welcome to join our preperation meeting on the 8th of March! We will meet at the Samenscholing around 19:00, and together start making banners/signs. If you don’t know what to make, you can help us with painting the Kattenkwaad banner. There will be vegan snacks at the preperation meeting and nice music. Women* refers to everyone who identifies as a woman, or who struggles with being misgendered as a woman. Yes, it’s international women’s* month! Of course, for many amongst us, every day is women’s* day. 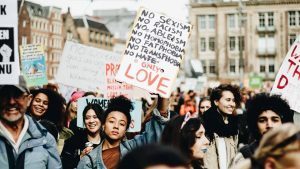 If you have to fight sexism and other inequalities that intersect with sexism, you will reflect on being a woman more often than only this month. But what is great about this month is that there are many feminist activities planned. So we made a selection of some events you can go to! In different cities, the nongovernmental organisation Mama Cash is hosting festivals together with art institutions. On the 8th of March Kattenkwaad will be preparing for going to the Women’s March in Amsterdam. Are you living in The Hague or feel like preparing for the March together with other feminists? You are very welcome to join! There will be some baked goods in a feminist sphere. More information will follow! Kattenkwaad will be organising a benefit concert for ANA. More details will follow soon. If you know any other events in or around The Hague, share it with us! 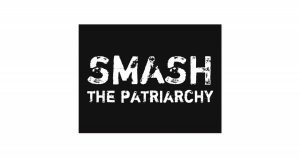 Hopefully these events will give you some inspiration to smash the patriarchy. Because, let’s be honest – the existence of patriarchy is not doing anyone a favour. Feminist VOKU at the Ruige Rog! On monday the 4th of February Kattenkwaad organises a benefit eatcafé in the Ruige Rog! Since we started our collective at the end of last year, we could use some money to create some great anarcha-feminist stickers, artworks, flyers, patches and more! Kattenkwaad is an autonomous feminist initiative from the Hague, initiated by local activists who wish to organise themselves around feminist issues in a horizontal way. We strive for a society free of racism, sexism, transphobia, homophobia or other discriminatory or oppressive behaviour and consider the revealing and rejection of social inequality the first necessary step to achieve change. Therefore we organise different kinds of gatherings and actions, directly or indirectly relating to patriarchal oppression or gender inequality. Food will be on donation and of course it will be vegan! Baas in Eigen Buik Stencils! In 2017 the law to make the abortionpill (or overtime pill) available at the general practitioner was reversed. A couple of months later the CASA abortion clinics, that performed half of the abortions, went bankrupt. The ministry of health, welfare and sport did nothing to prevent this. And recently a research on Siriz (an abortion aid organization) has shown that they give false and discouraging advise to those that seek information about abortion. Siriz receives €1,5 million in subsidies per year. These alarming developments around abortion rights and access to abortion need to be resisted! We believe that everyone should have the possiblity to decide what happens to their own body. Nobody should be allowed to take away this right of self-determination. The right to safe abortion has to be protected, so that no unsafe methods need to be used to undergo abortion. Intolerance against the individual freedom of choice cannot be allowed to grow! You can show your solidarity by getting on the streets. 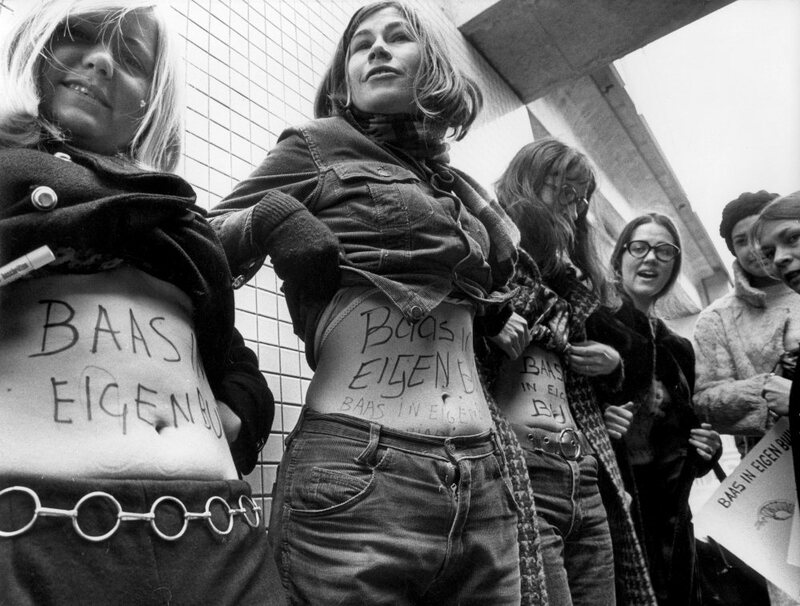 It’s time for ‘my body, my choice!’ (baas in eigen buik) to make a comeback. Anyone interested in the stencil, we have some available for €5 (in The Hague). All the sales will go in to feminist actions. Send us a message and help out to spread it!